Warmth, charm and tradition are in abundance at this historic 118-year-old country inn, featuring rooms, suites and cottages with fireplaces, decorated in antiques. Hearty breakfasts, sumptuous lunches, quiet candlelight dinners and famous traditional Door County fish boils. Open all year. Low midweek winter packages. Restaurant open to the public. Open daily except Thanksgiving Day and Christmas Day. 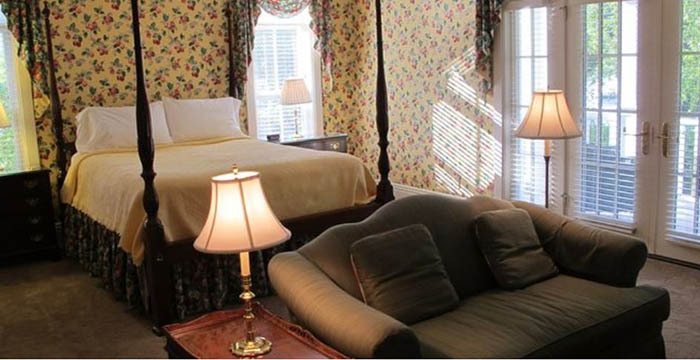 As in many historic inns, our rooms and cottages come in all shapes and sizes. 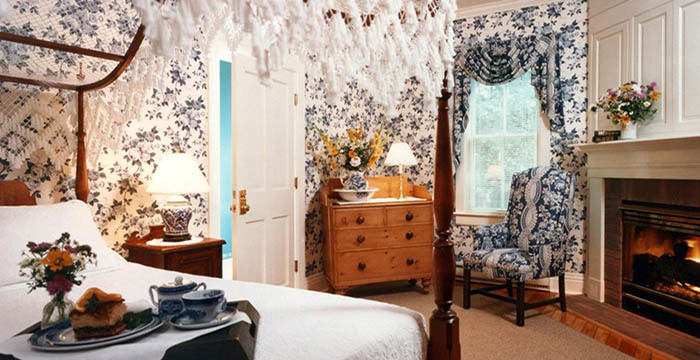 Over the years, weve added to the original antiques and decorated the rooms with coordinating prints and fabrics that maintain the warm, nineteenth century flavor. However, comfort is strictly up to date, with new mattresses, air-conditioning, fireplaces, modern plumbing and little touches that make your stay as comfortable as can be. Our Welcker House, built in 2000, was painstakingly designed and constructed to match our existing historic buildings, with many added architectural details. 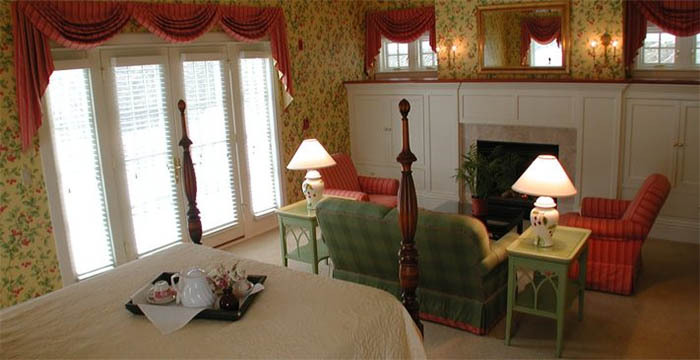 Coordinating fabrics and papers, antiques, period reproductions and other touches in the four individually decorated suites create an experience recommended for those celebrating a special occasion or simply seeking the ultimate in comfort and beauty in their Door County visit. Each suite has a queen-sized bed, fireplace, private deck and a bathroom with double whirlpool and shower. The White Gull also offers cottages suitable for families and groups of four to eight persons. The White Gull Inn is open throughout the year with the exception of Thanksgiving and Christmas Days. 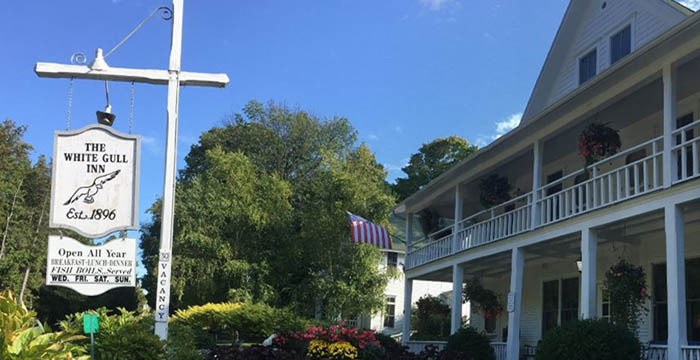 Rates include the White Gull Inns award winning full breakfast (voted Best Breakfast in America by viewers of Good Morning America), served from 7:30 until 2:30. 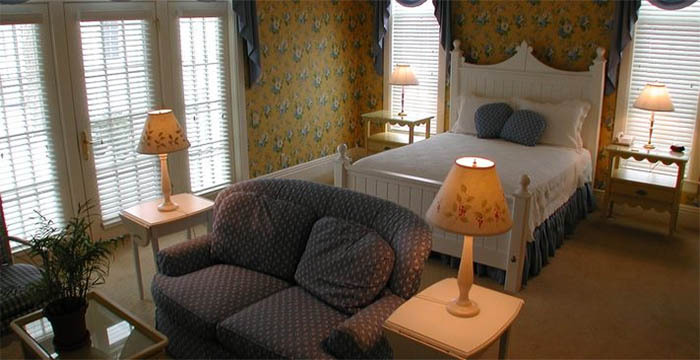 (Lunch and either dinner or a fish boil are also served and can be charged to your room.) Advance reservations for a minimum stay of two nights are accepted on weekends and Christmas week (three nights for major holiday weekends and for the cottages any time in July and August.) A reduction of ten percent will be applied to all stays of seven days or more. All White Gull buildings are smoke free. All accommodations have air conditioning, telephones and television. Although we cannot accommodate pets we will be happy to recommend a nearby pet hotel. The White Gull Inn features special events throughout the year and packages to fit every taste and budget. For a current listing, visit the Package page of our website, www.whitegullinn.com.